The spectacular Lance Lim is the perfect example of a multi-threat. He’s a brilliant actor, a sensational singer and one fantastic rock-star! We love watching the incredible Lance Lim in the hit, Nickelodeon show, School of Rock. It’s always so much fun getting to see Lance Lim rock out on the guitar and he makes each and every episode of the show so interesting to watch. Lance Lim is such a gifted actor who puts his 100% passion into everything that he works on. Aside from being a terrific actor, Lance Lim is also a wonderful musician. He is such a remarkable singer and his vocals give everyone the #feels every time we hear it. He has released several covers that we all have listened to on constant repeat. Lance Lim never fails to leave us all in awe with how phenomenal he is. In addition, Lance Lim is also a total trendsetter. He always looks so stylish and dandy everywhere he goes and he always manages to be one of the “Best Dressed” guys at every event he goes to. Lance Lim is so effortlessly cool and we wish he could share some tips with us on how to be as awesome as he is. 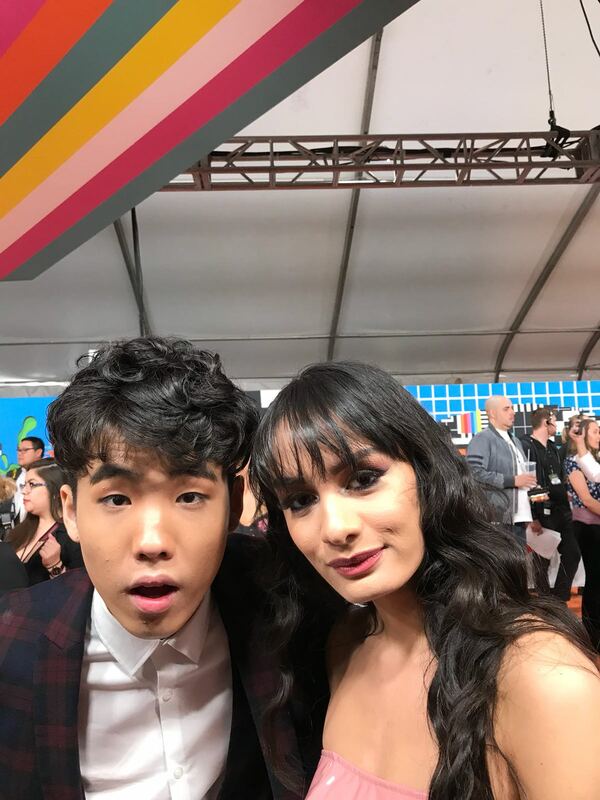 I, Alexisjoyvipaccess had the greatest honor of covering the renowned and prestigious 2018 Nickelodeon Kids’ Choice Awards and had a stellar time catching up with and interviewing the extraordinary Lance Lim again at the event. Lance Lim dished exclusively to Alexisjoyvipaccess all about what he would like to see happen to his character in future episodes of School of Rock, what his number one fashion advice is and so much more only in our VIPAccessEXCLUSIVE updated interview. Lance Lim even took on a fun “Slime or Save” speed round and revealed whether he would slime or save his cast-mates Ricardo Hurtado and Aidan Miner as well as singing sensation, Camila Cabello – hear what he had to say in our VIPAccessEXCLUSIVE updated interview below. Thanks for another amazing interview, Lance! Check out my VIPAccessEXCLUSIVE updated interview with the exceptional Lance Lim at the 2018 Nickelodeon Kids’ Choice Awards below! Previous VIPAccessEXCLUSIVE: Ser’Darius Blain Interview With Alexisjoyvipaccess At The 2018 Nickelodeon Kids’ Choice Awards! Next Article: Lisa Vanderpump And The Vanderpump Dog Foundation’s Impactful Documentary “The Road To Yulin… And Beyond” Is Available Now On Prime Video!